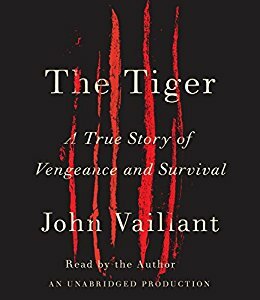 Vaillant weaves a remarkable portrait of not just Trush and his team, but the native tribes and their history with the Siberian tiger; the Russian settlers and the economic boom followed by bust of this remote town; the deadly mix of poverty, desperation, and greed that further endangered the already rare Siberian tiger. What's especially moving in all this is Trush's understanding that everyone involved, the tiger, the poachers, and everyone around them is simply doing what they need to do to survive in the post-Soviet collapse, failing economy, and increasingly threatened habitat. Vaillant's telling of this story is an amazing evocation of the human relationship to nature, unavoidable for both good and ill.